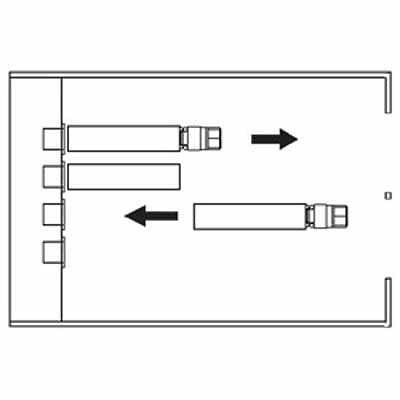 A flush dock is the most common type of loading dock. 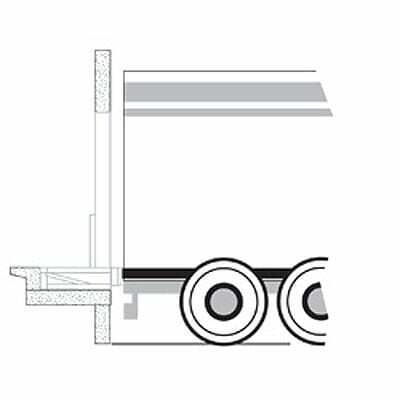 In this case, the dock just acts as an opening flush with the warehouse wall, which allows the back of the truck to attach seamlessly to the dock. Flush docks save space because they neither jut out nor require an enclosure for the vehicle. An enclosed dock is one of the least common types of loading docks. It allows the entire truck to park indoors, protected from the elements. This tends to be great for the preservation of temperature controlled freight. 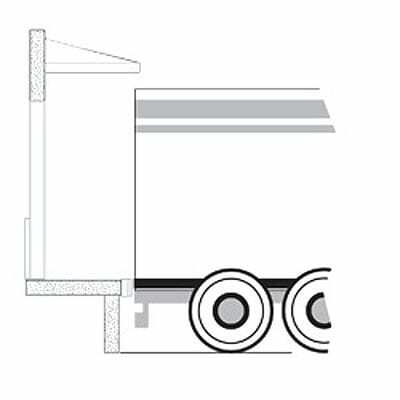 Enclosed docks require their own ventilation systems to get rid of the exhaust and pollution produced by the trucks in an enclosed setting. Open docks do not create an enclosure that surrounds the back of a truck. They are subject to weather conditions, which can make them unsafe. Often, they are covered by a roof or canopy, but are not enclosed on the sides. Open loading docks are fairly rare and unpopular. 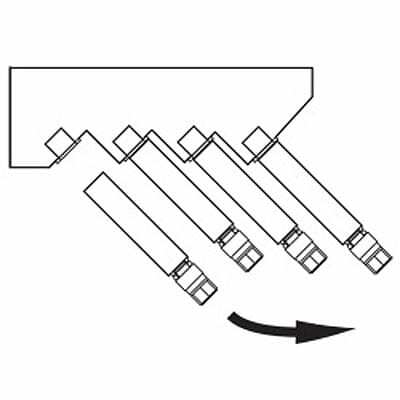 Saw tooth loading dock designs are effective where dock apron space needs to be minimized. The staging area between docks is typically non-usable.